Celebrity news American singer, Ciara has given birth to her first child with husband Russell Wilson. 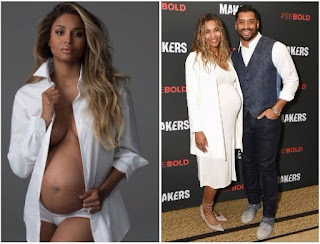 American singer, Ciara has given birth to her first child with husband Russell Wilson. American singer, Ciara has given birth to her first child with husband Russell Wilson. 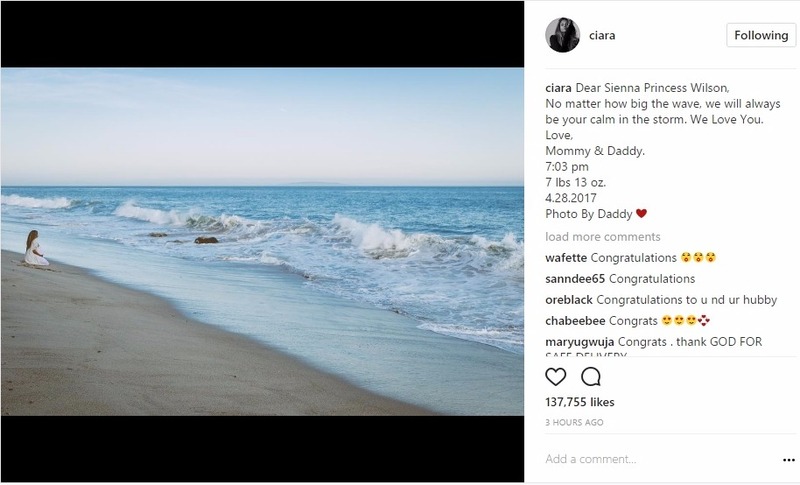 Ciara and hubby who married in July 2016 welcome baby Sienna Princess Wilson on friday. Ciara who couldn't bear to keep this awesome moment to herself took to her instagram page to publicly welcome her baby girl.